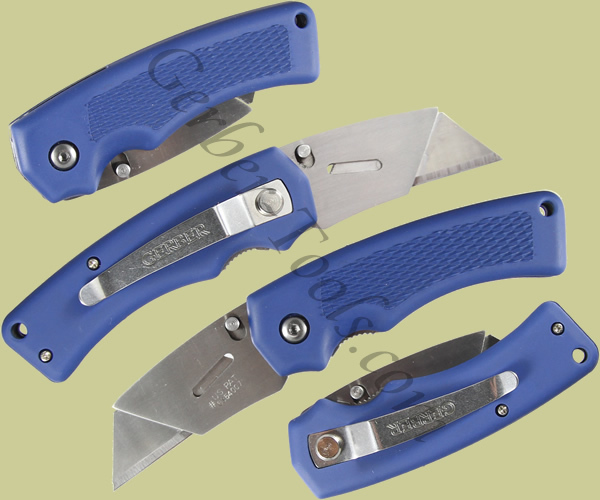 Gerber Edge, Blue Rubber Handle.The durability of the Gerber Edge series has gotten even better with the addition of the Gerber Edge TacHide Utility Knife 31-000669. The blue TacHide coating is both highly functional and easy on the eyes. 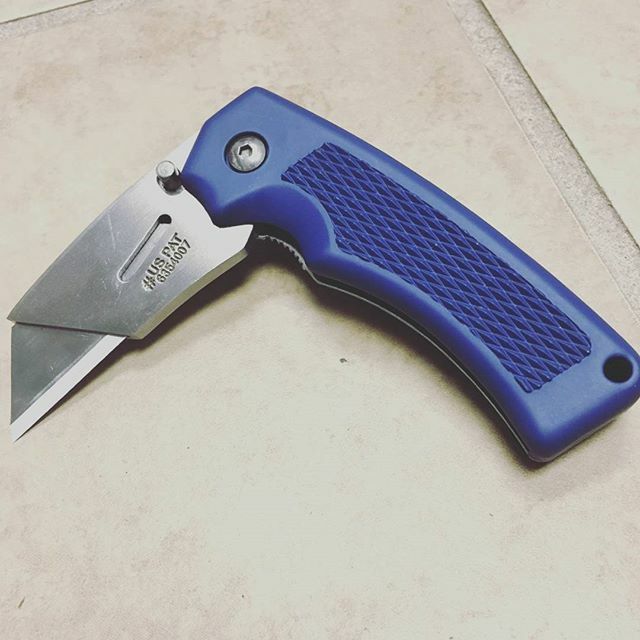 The knife is held securely open with a liner lock system. A spring lock on the handle allows the user to change out standard or contractor blades with minimum fuss. A clip is included for convenient carrying.